If you have a poor credit history, the only way to improve your credit is time. Making scheduled payments on time and on a consistent basis will increase your FICA score and improve your credit report. You are protected under the Federal Credit Repair Organization Act. 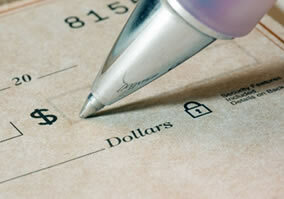 A credit repair company cannot take money from you before services are completed. Before you sign a contract, the credit repair company must tell you, in writing, what your legal rights are. A credit repair company must give you a written contract which clearly describes all of the terms and conditions of payment, a detailed description of services to be provided and an estimate of how long it will take to complete those services. You have three days to cancel the contract between you and the credit repair company. Any contract that is made between you and the credit company that does not comply with the laws is void. Credit repair companies are prohibited from making deceptive claims about their services. If you find a problem, the credit bureau has thirty business days to investigate and must inform you of its findings within ten days of concluding its investigation.